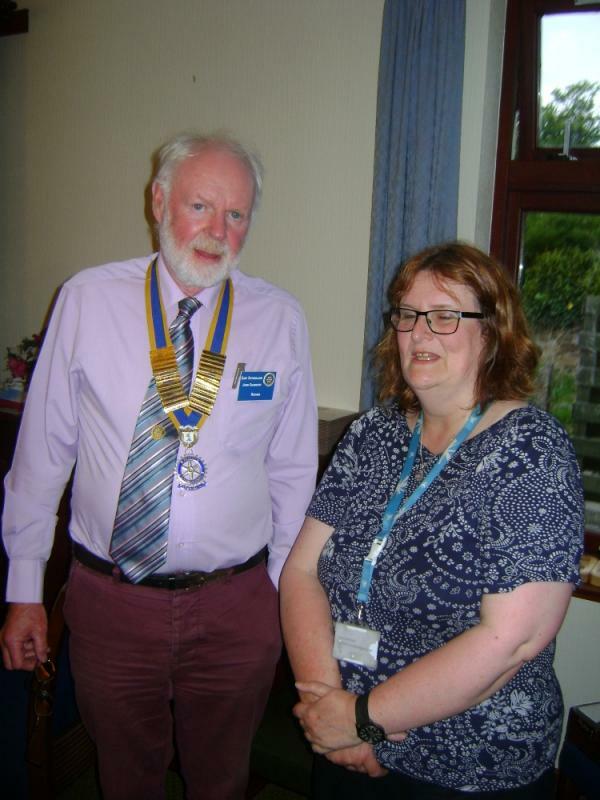 On 24th May Trish Mathew from the Brora Learning Centre was our guest speaker as we continue our efforts to understand and support organisations that support those with Learning or Mental Health difficulties. Members were surprised and encouraged to hear of the wide range of support Trish and her team of volunteers provide to bring on confidence and skills to help them gradually get into work. The centre also helps with IT skills, working with the environment, creative arts projects and much more. As budgets are disappearing in the local government sphere this is undoubtedly an area where the club could consider support in providing art materials and other essential tools and help provide the stepping stones back to a fulfilling life for those who need that assistance. One suggestion was that the club should consider a Christmas Card designed and printed by the Learning Centre with a print run of perhaps 500 if that can be done economically.